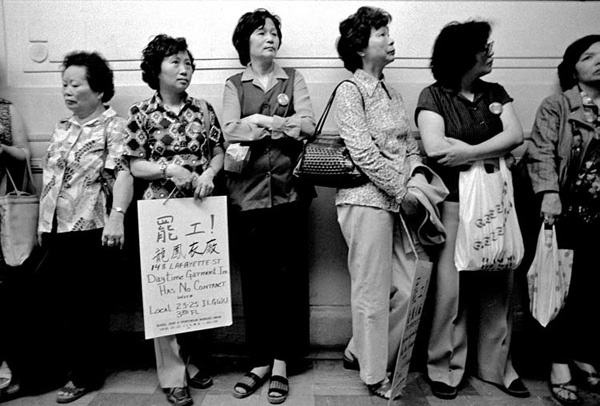 In June 1982, more than 20,000 immigrant women garment workers went on strike in New York Chinatown to demand a good contract. 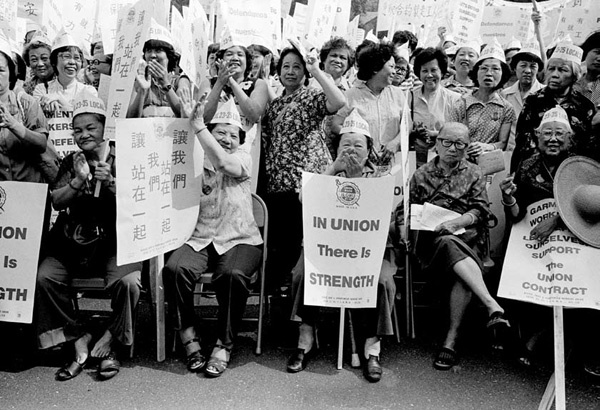 Their employers demanded deep cutbacks in wages and benefits… However at the sight of thousands of immigrant women workers marching through the streets of Chinatown, the employers withdrew their demands, and within hours the workers and their union had won the strike. 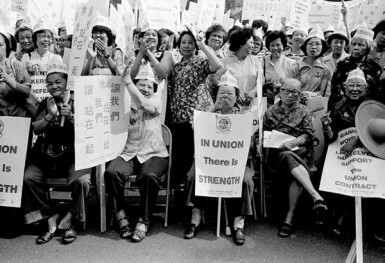 This is how I remember it.